Have you ever thought of the possibility of your small business going solar? At times where PV module prices are low, and monthly savings are high, there is no better time to buy one of the cleanest, cheapest energy sources in the world. If your business has been thinking about making the switch but is still hesitant, read below to discover few of many compelling reasons to why small businesses should go solar. Time: When do you use your electricity? Depending if you are using it during or off-peak hours, this leads to price fluctuation. Season: Price fluctuations occur what months you are using it, such as summer prices are normally higher than fall/winter prices. Usage: The amount of kWh you consume. Provider: What company you use. According to market data reported by EnergySage, it suggests that the average commercial property owner in the U.S. can reduce overall energy costs by 75 percent when choosing to go solar. Think about what your company can do with those extra savings, and how it can be used to fund other departments of your growing business. Still unsure or unable to make the initial investment of solar? If applicable to your business, you can also utilize an SPPA (Solar Power Purchase Agreement) to receive the low monthly utility costs of solar power. However, it is important to note that with this option you are not able to receive tax credits or the income you can make producing solar energy. Evaluate what your company is currently spending on its monthly electricity bill. The higher that total is, the more opportunities there can be to accrue some serious savings. In cases where solar panels produce more energy than your business consumes, you can benefit from net metering, which is when you can sell back excess energy to the utility grid. Overall, your small business going solar is a win-win when it comes to savings. What if my business operates in an area where there is not a lot of sunshine? Can I depend on solar if my company needs to utilize a lot of electricity to operate? Is solar energy as consistent as energy from the power grid? These are few of many valid concerns that a business owner may be thinking when it comes to switching to green technology. However, there are many misconceptions when it comes to understanding solar from a public perception. To put simply, no matter where your location is, solar panels can produce reliable electricity anywhere in the world. The amount of direct sun radiation your region receives (not temperature or heat) will dictate the type and amount of PV modules your system needs to operate optimally. Wherever you reside in the world, utilize the Global Solar Atlas to determine the amount of kWh your region receives. If you reside in the United States, check out the SEIA’s solar state by state map to uncover the latest market insights and policy updates for your state. So what exactly happens when the sun goes down then, and there is no direct sun radiation? This is where solar batteries come in, as they can provide as storage for the excess energy produced from solar panels that you did not consume. Your solar panels can also be an on-grid or off-grid system, meaning that you can be connected to the grid if you choose to utilize electricity during off-peak solar hours. Another attractive reason to go solar is that not only can you recoup back your initial investment of installation, but can profit from it as well. According to a blank study, business owners. From corporation to corporation to others, many of these corporations reported some serious long-term financial gains from making the switch to solar. Even if your business isn’t a large corporation, why would you not consider an opportunity to grow your company’s profits? Small business owners. If you are curious to as how much your business can financially grow from a solar installation, our team can create a complete analysis to determine the financial viability and opportunities for you. Your small business going solar is not just great for your wallet, but for sustainability purposes too. It’s easy to understand the idea of “going green for the environment,” but what does that mean? Since 1988, 100 companies have been the source of more than 70% of the world’s greenhouse gas emissions. Do the names Exxon Mobil, Shell, BP and Chevron sound familiar? Well, that’s because they are some of the top companies that supply the fossil fuel we use for all of our power needs. Meaning that we are the ones buying, contributing, and ultimately are responsible (collectively) for the exponential rate of harmful emissions. Sustainability is starting to become more important to consumers, which can give your business a needed marketing push or PR opportunity. 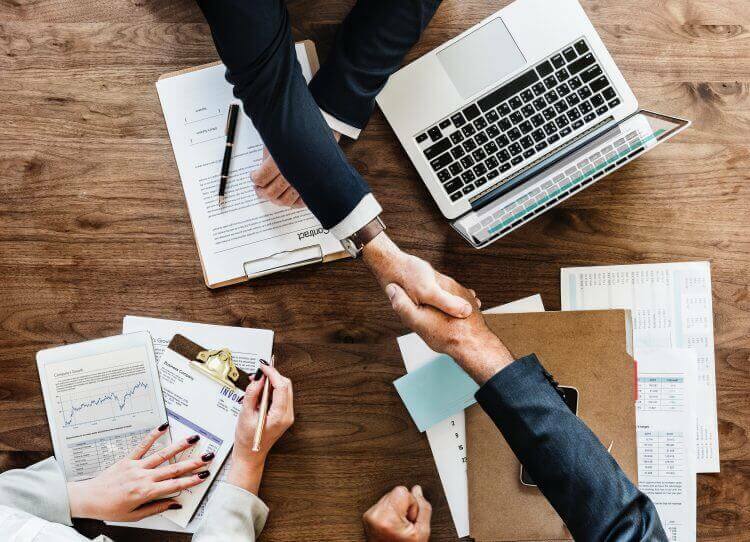 More importantly, it indicates a commitment that your business has to not only growing its own profits but is thinking about its community and the future. Okay, so by now you have a general grasp about the reasons small businesses should go solar, and how they can benefit from it. But are you aware of the current industry trends surrounding solar energy? For instance, as electricity prices continue to increase, the longer you wait, the more you will lose out on all of the potential energy savings you could be making! Another point to consider is that as solar continues to grow in popularity among businesses and homeowners alike, financial incentives overtime will be reduced or even eliminated. 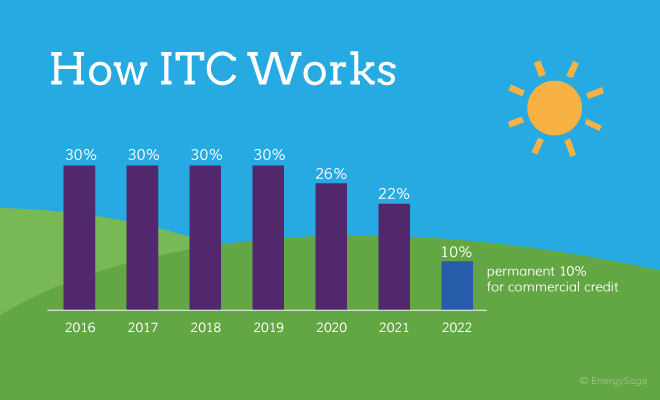 Up until 2019, the federal solar tax credit, otherwise known as the investment tax credit (ITC), will allow a homeowner or commercial owner to deduct 30 percent of the cost of installing a solar energy system from their federal taxes, with no cap on its value. However, due to recent solar popularity and legislation, this tax credit will continue to fall until it reaches a permanent 10 percent. Different incentives can be found depending on your location and federal government, so make sure to consider how your solar investment and savings can be affected by putting off your solar purchase. At Symtech Solar, we are an upstream business in the supply chain that combines in-house manufacturing and assembling. This enables us to oversee our product line from the first stage in manufacturing to its final stage assembled in our ready-to-go packaging. Therefore, we can offer the highest quality, cost-effective (no middle man), and ready-to-go PV systems on the market. When you have decided that your small business going solar can result in decreased utility savings, tax incentives, and hedging against future inflation, utilizing solar energy can be your cleanest investment yet.